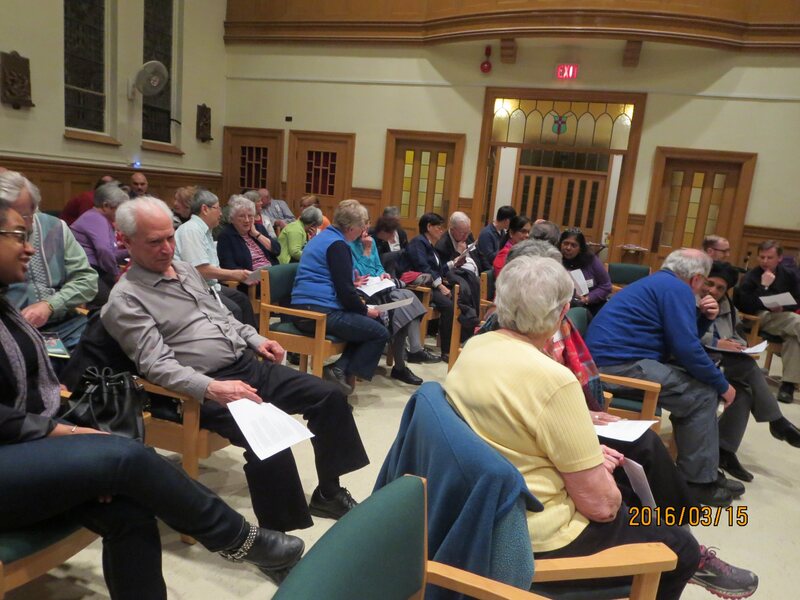 On March 15, 2016, the Scarboro Missions chapel was filled with a great variety of persons in attendance for the 2nd session of our 3-part Series on Christian, Jewish and Muslim perspectives on MERCY (https://www.scarboromissions.ca/news/mercy-jewish-christian-muslim-dialogue ). 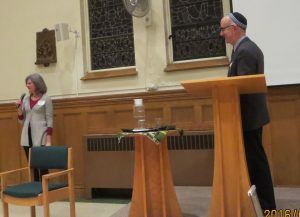 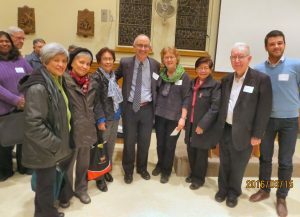 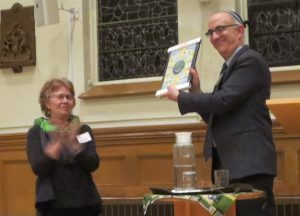 Rabbi Edward Elkin (Spiritual leader of ‘First Narayever Congregation’ in downtown Toronto) presented a dynamic Jewish perspective on MERCY using several key Biblical and Rabbinic Texts. This series is part of the church’s Dec. 2015 to Nov.2016 celebration of the Jubilee Year of MERCY. 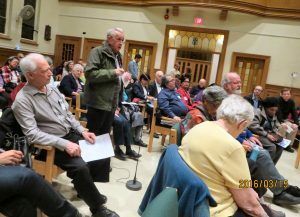 A 1-sheet handout was distributed at the start of the presentation. 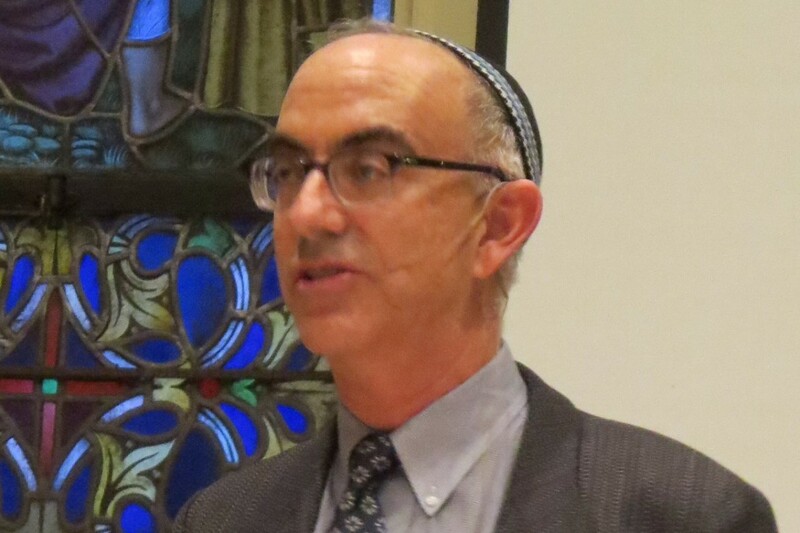 Read the full text version (9 pages) of Rabbi Elkin’s presentation. 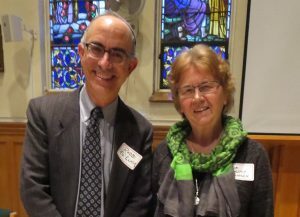 Speaker Rabbi Edward Elkin with event coordinator, Sr. Lucy Thorson of the SFM Interfaith Dept. Some attendees shown with the speaker, Rabbi Edward Elkin & Sr. Lucy Thorson at centre. Also at right is Hector Acero of the SFM Interfaith Dept.